The State of Maine is home to the largest population of Canadian Moose anywhere in the United States. The vast wilderness and heavily forested timber tracts, along with the logging industry combine to make a thriving habitat for moose. 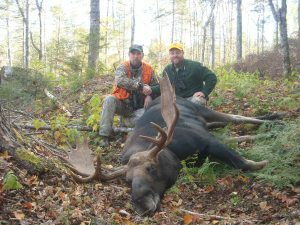 The waterways and road systems in Northern Maine offer accessibility to the best moose hunting opportunities available. 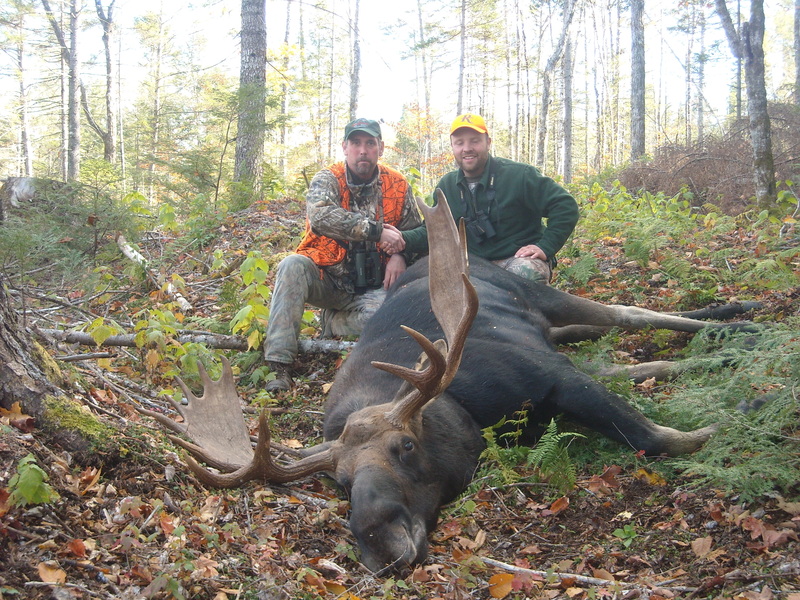 Moose hunting in Maine is allowed by permit only, with a lottery system allocating approximately 3000 permits to winning applicants, both resident and non resident. The state has several Wildlife Management Districts, and our location allows us to offer fully guided hunts in zones 5, 6, 10, and 11, some of the states very best areas. Our hunts are customized to the individual hunter, with the primary methods being calling during the rut, and spot and stalk style hunting. care/retrieval of your moose. One of the most challenging aspects of a moose hunt is recovery of the animal, and we have all the necessary equipment to do this in a professional and timely manner. We will also transport your moose to a processing plant of your choice. All of the WMDs that we guide in have trophy moose potential. A reasonable expectation on our fully guided moose hunts is to have an opportunity at a bull in the 48” spread class, weighing in the 750-800 lb. range, with the chance at a much larger bull ever present. Every year several bulls in the 60“ spread, 1000 lb. weight class fall to hunters throughout the state. 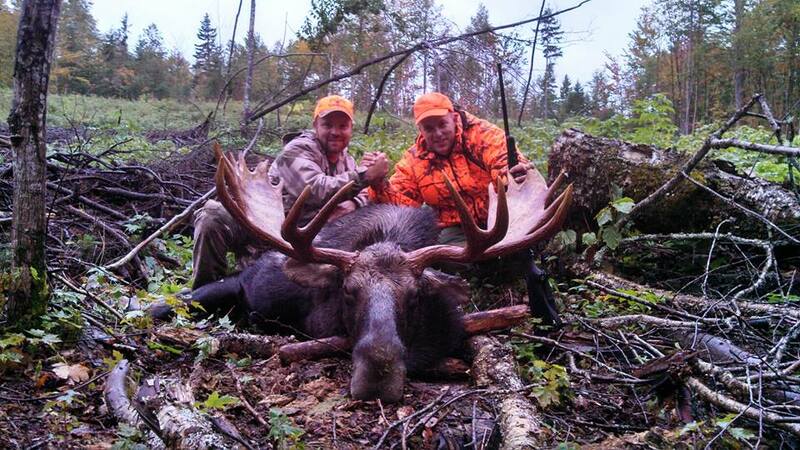 Our success rate on fully guided moose hunts is 85 percent. If you are a permit winner in one of our zones, and would like us to guide you on the hunt of a lifetime, please call 207-615-7402.